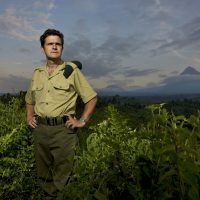 Remembering Mountain Gorillas in Virunga Regions 2018 has been a remarkable year for gorillas. 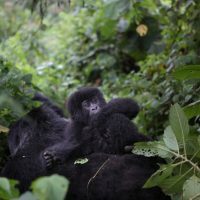 Due to the intensive protection Dian Fossey began over 51 years ago, mountain gorillas have reached a historic milestone: their numbers have steadily increased over the past 30 years, totaling just over 1,000 individuals today! 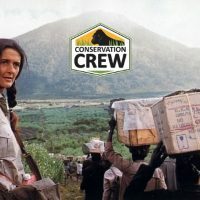 Just forty years ago, Group 4 – a legendary line of gorillas first observed by Dian Fossey herself – was decimated by poachers. Group 4 was made famous by the film Gorillas in the Mist, and boasts some of the world’s most renowned gorillas, including Flossie, Uncle Bert, Titus, and of course, Digit. Named as one of Time Magazine’s most influential animals ever, silver back Digit was Dian Fossey’s favorite mountain gorilla, and they shared a special bond. On December 31, 1977, though, Digit was killed by poachers while defending his family. 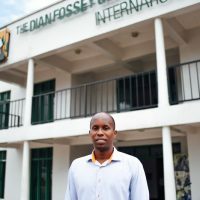 Digit incurred five mortal spear wounds to his body, but held off six poachers and their dogs, allowing 13 members of his family – including his mate and unborn infant – to flee to safety. His mutilated corpse was found in a blood-soaked corner of vegetation. His head and his hands had been hacked off. 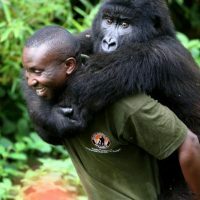 It was during this time that the mountain gorilla population reached its lowest point, with fewer than 250 individuals remaining. It was believed the species would be extinct by the year 2000. Tragically, in July 1978, the decimation of Group 4 continued. Uncle Bert, who had taken over leadership of the group in Digit’s absence, was shot through the heart and decapitated. 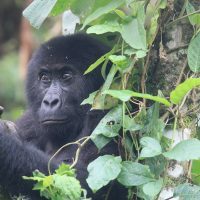 By December, only 3 gorillas were left in Group 4. 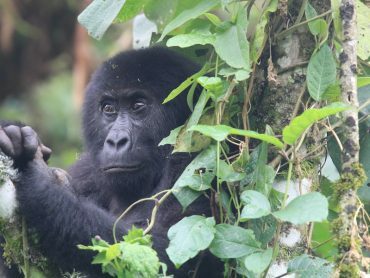 Seven gorillas from the group perished in 1978 – 4 were killed at the hands of poachers and 3 gorillas died as a result of group disintegration. 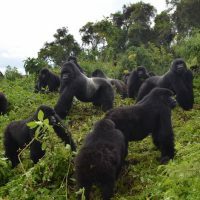 These gorillas made up 18% of the total Karisoke population at the time, and would be like losing 20 gorillas over the same time period today. 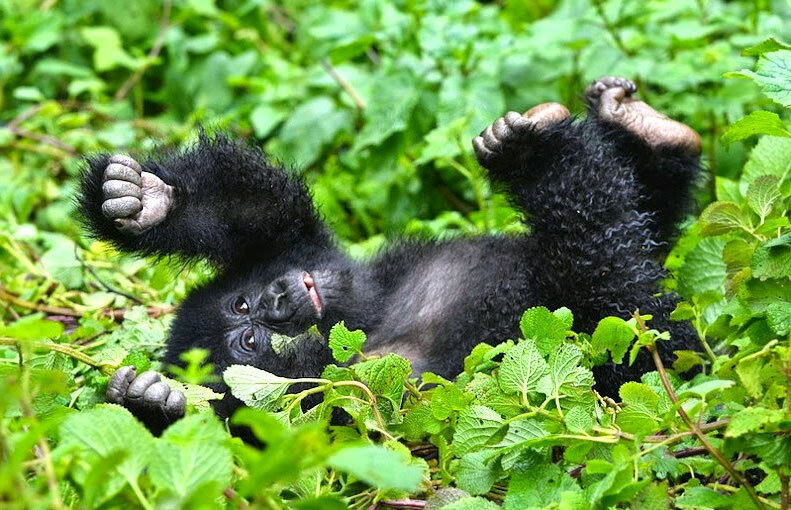 Today – thanks to YOUR support – mountain gorillas are THE ONLY wild ape whose numbers are increasing. 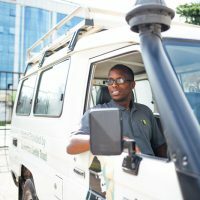 They are one of the world’s most renowned conservation success stories. Mountain gorillas exist today because Dian Fossey literally gave her life to save a species. 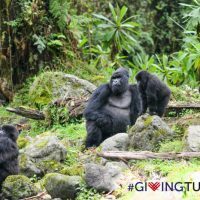 Will you honor her legacy – and the brave Group 4 gorillas like Digit and Uncle Bert – by making a donation of $7, $20, $40 or any amount that is meaningful to you today?